Harry Rhead was born in Burslem in 1882. After leaving school he served his apprenticeship with his brother at Brownfields, working under his father, who was Arts Director at this time. Brownfields were known to produce a wide range of ware, which was considered to be of excellent quality. Whilst serving his apprenticeship he attended evening classes at the Wedgwood Institute, Burslem, and at the Government Art Schools in Stoke-on-Trent, Fenton and Longton. When his father left Brownfields for Wileman, Harry moved with him. Just before the turn of the century Frederick Snr. introduced tube-lining at Wileman. Harry and his brother Frederick learnt this technique and became very proficient at it. Whilst working at Wileman & Co, Harry decorated a globe shaped vase depicting a panel of children, which carries his signature H Rhead. As this vase is in a collection it is known that these signed pieces exist. 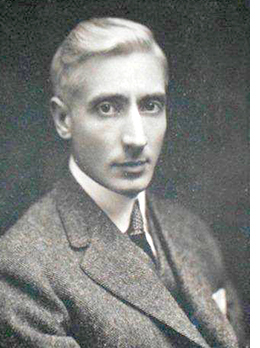 When his brother Frederick Hurten left Wardle & Co to take up a post in the U.S.A. Harry took over as Arts Director, again it seems that his father Frederick Snr. had a watching brief over the ware that was produced as, during this period, Wardle’s had started to manufacture many different tube-lined designs, some even carried Harry’s signature. So thanks to their father, Frederick Alfred, the company was now producing good quality tube-lined art ware. As a result the company was supplying the Regent Street store of Liberty’s, although none of the ware carried the company’s backstamp. In 1908 Harry moved to the U.S.A. and became Arts Director at Roseville Pottery in Zanesville, Ohio, a post which his brother Frederick Hurten had just left. In 1917 he left Roseville Pottery and worked at other companies. In 1923 he helped to establish the Standard Tile Company, this company was successful until the recession hit and it eventually closed down during World War II. After the company closed down it seems that Harry retired and moved to Florida where he died in 1950.